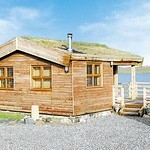 On the shores of Loch Hosta with panoramic views, this turf-roofed lodge/cabin offers an idyllic holiday retreat. The incredible landscape surrounding the lodge is a paradise for outdoor and wildlife enthusiasts. Loch Hosta is one of the best fishing lochs on the island and home to many visiting birds ranging from golden eagles to corncrakes. 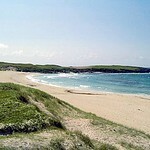 A gentle stroll takes you to the beautiful Hosta Beach with its rolling dunes, white sand and turquoise waters. 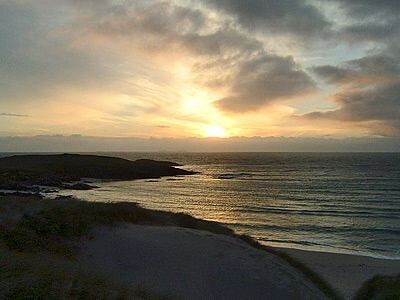 Day trips to the islands of Harris, Lewis, Eriskay and Barra are all easily accessible. Shops and pubs 8 miles, restaurant 10 miles. All on ground floor: Living room/kitchen with wooden floor, double (5ft) bed and sofa bed. Shower room with toilet. Multi-fuel burner in living room (initial fuel inc). Oil CH, elec, bed linen and towels inc. DVD. CD. Elec hob. Combi m/wave/oven/grill. W/machine. T/dryer. Enclosed natural garden with sitting-out area and furniture. BBQ. Parking (2 cars). No smoking. 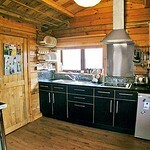 1st comment: Like living in a comfortable bird hide. Great for ornithologist and naturalists. June 2012. 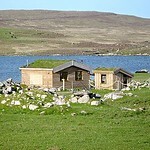 2nd comment: This is a lovely place for a real remote getaway. 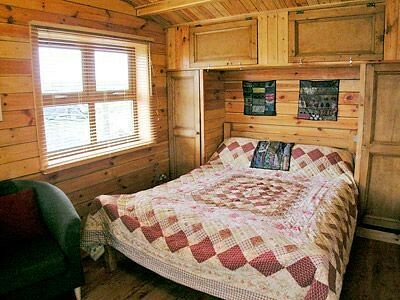 It’s small, but very cosy and a really romantic hideaway. We loved it. 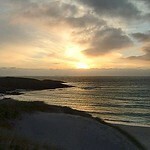 Great location on a loch and 10 minutes walk from a beautiful white sand beach with dunes. Birds and wildlife all around. 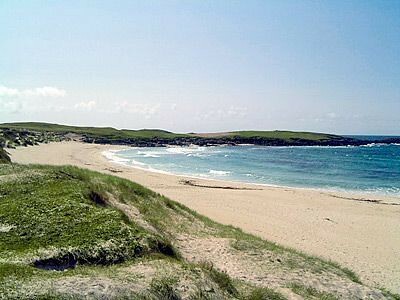 Excellent walks on deserted beaches that stretch for miles. 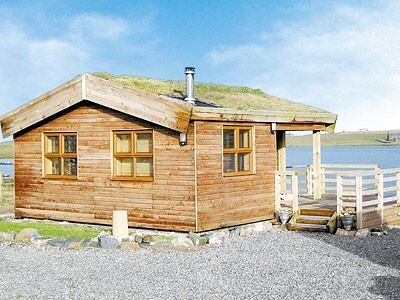 If you’re looking to get away from it all - then you can’t do much better than this! April 2011. 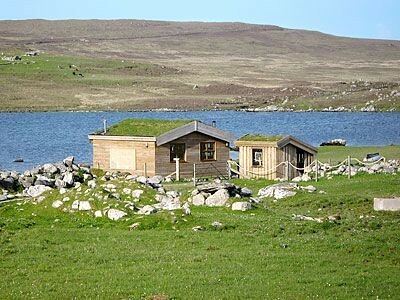 3rd comment: The property has a fantastic location and with excellent views. 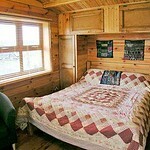 The accommodation is very snug and cosy for an individual or couple. 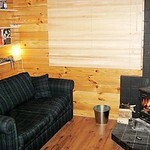 The wood burning stove was great and the facilities were good. Oct 2010. 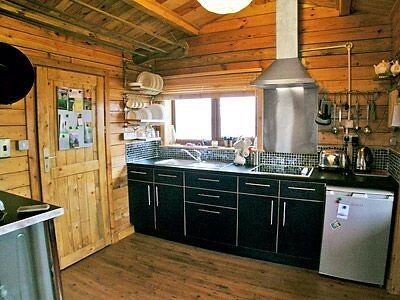 4th comment: Beautiful location and very cosy. Perfect for couples wanting to get away from everything. Sept 2010. 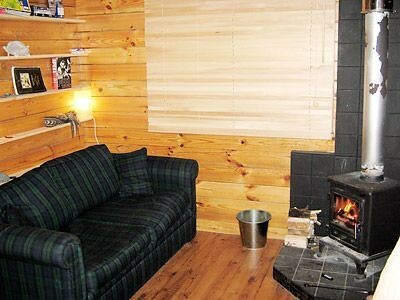 5th comment: Fantastically cosy, quiet hideaway. Well worth the travel. Tons of variety for birdspotters and some awesome beaches nearby. Dec 2010. 6th comment: Liked the location, comfortable, lovely comfortable bed, acceptance of dog with secure garden, peaceful. Aug 2010. 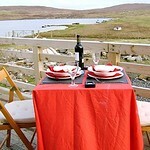 7th comment: Simple and cosy, with great views. The coal fire added to the experience. July 2010. 8th comment: Little and cosy. Great location and great views. Private. July 2010. 9th comment: Exactly like the picture on the web-site in a lovely peaceful area. Plenty of fishing nearby for those inclined and a WOW! factor, beach at Hosta. Had a wonderful time. June 2010. 10th comment: Great location, close to the ferry terminals. Great views from the cabin, very private place. 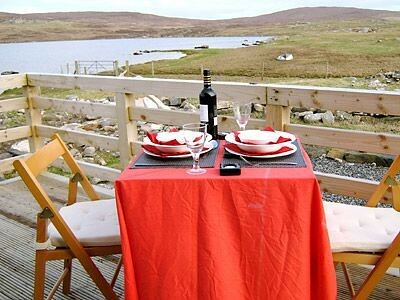 Lovely outdoor terrace. June 2010.